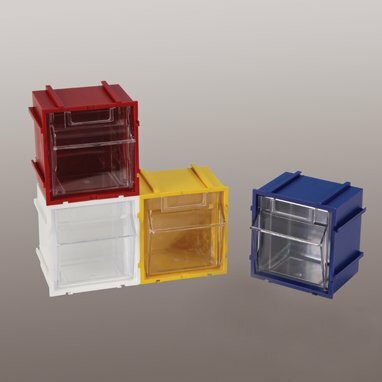 Colorful mini tilt-front bins interlock from all four sides to create space-saving storage. Bin housings have two holes in the back for mounting to walls, cabinets, etc. Bin housings have two holes in the back for mounting to walls, cabinets, etc.